The “new normal” means more people will be renting, according to housing industry experts. Speaking at the Multi Housing Council’s (NMHC) Mid-Year Apartment Strategies/Finance Conference and Board of Directors meeting held this week in Palm Beach, Florida, in front of more than 300 of the nation’s leading apartment executives, observers from both sides of the political spectrum expressed the need for ongoing federal intervention in the housing market. Industry experts also examined how apartments will change based on the preferences of today’s renters. 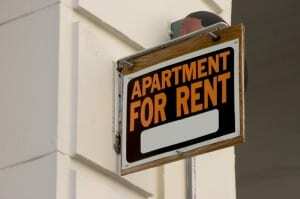 Today’s renters want urban locations within walking distance of entertainment and employment. They are willing to accept smaller apartments to lower their rent in these more expensive downtown neighborhoods, but they expect developers to incorporate more usability into a smaller footprint. They are also very social and want places around the property to congregate. Republican Doug Holtz-Eakin, President of the American Action Forum and former Director of the Congressional Budget Office, said that while it’s “inconceivable” that the U.S. would stop subsidizing shelter, “shelter is shelter” and subsidies should not be tied to whether someone rents or owns. Holtz-Eakin suggested that subsidies should be on budget, should follow Americans as they change tenure, should be done through financing mechanisms and should not encourage debt financing over equity. Such a policy, he said, would effectively be an annual appropriation for loan guarantees for the entire residential sector. Assessing the likelihood of any solution being enacted in the near term, he noted that Congress will likely wait until the housing market is stronger before tackling housing finance and tax reform. In a separate session, Michael Barr, former Assistant Secretary for Financial Institutions, U.S. Treasury Department under President Obama, also urged a “continued government guarantee for both single-family and multifamily” for catastrophic, but not for first-loss, positions. Noting the exceptional performance of Fannie Mae and Freddie Mac’s multifamily programs, he said that it makes sense to consider separating the GSEs’ multifamily programs from the beleaguered single-family programs. Not only is the performance between the single-family and multifamily programs different, so are the products and the skill sets of the people who run them. Developers speaking at the NMHC conference also said that the recession has made it easier to get new apartments approved. During the housing boom, it was difficult to get approvals for rental housing, but localities are reducing the barriers and restrictions that have hampered rental development to encourage the revenue and jobs that new development brings. Construction financing remains a challenge, however.